A curated tour to fulfill your wildest dreams awaits; Explore South Africa's vast and diverse landscape where LGBT families are welcomed with open arms. Rich in culture, history and arts plus an array of wildlife adventures there isn't a better place to take your family for a more encompassing journey. Inland safari destination Kruger National Park is populated by big game. The Western Cape offers beaches, lush wine lands around Stellenbosch and Paarl, craggy cliffs at the Cape of Good Hope, forest and lagoons along the Garden Route, and the city of Cape Town, beneath flat-topped Table Mountain. 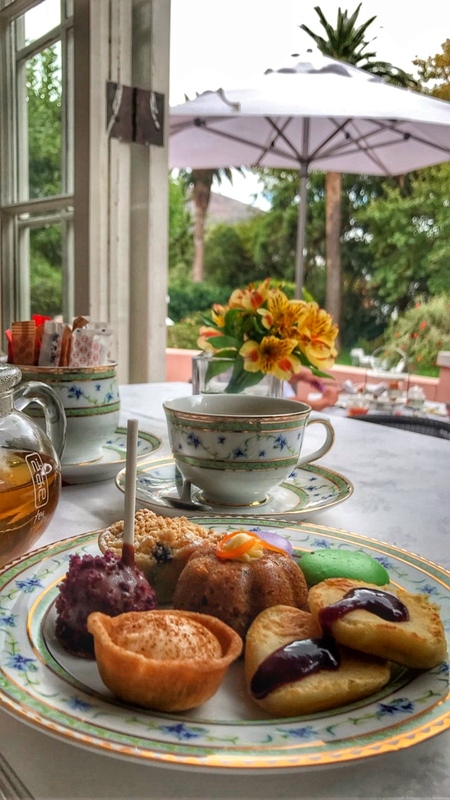 Belmond Mount Nelson Hotel is a timeless resort hotel located in the heart of Cape Town. The garden estate setting is an urban sanctuary, complete with two heated swimming pools, rolling lawns and secluded rose gardens. Several accommodation wings offer a variety of 198 individually decorated, elegantly appointed rooms and suites. The contemporary Planet Bar and Restaurant offers guests a true South African gastronomic experience, and the newly refurbished Oasis Bistro offers guests a Mediterranean inspired al fresco breakfast and lunch menu. Extending the emphasis on pleasure is Librisa Spa - a destination day spa boasting eight oversized treatment and shower rooms, separate manicure and pedicure rooms, and a sun-splashed conservatory. After breakfast you will be collected from your hotel for an exciting Full Day Private Cape Point Tour where the two oceans meet boasting beautiful sights, sounds and a booming African penguin colony. Additional activity: kayaking around the penguin colonies available on request. Depart the city along the Atlantic Seaboard - past the coastal suburbs of Sea Point, Bantry Bay and Clifton and stop for a photo op of Table Mountain’s towering Twelve Apostles. On past Bakoven and Llandudno, marked by shipwrecks, to the fishing village of Hout Bay. Here, board a boat to view the Cape Fur Seal colony on Duiker Island (optional extra).On return, head over the 600m heights of Chapman’s Peak Drive, one of the world’s most spectacular passes, past the Cape’s longest beach near Noordhoek and the hamlets of Kommetjie and Scarborough - with a chance to sight Southern Right Whales just offshore from June to November! Explore the rocky coastline and unique Fynbos vegetation, home to birds like African Black Oystercatchers and Cape Sugarbirds and view other endemic fauna like Cape Mountain Zebra, Bontebok and Baboon as we enter the Cape of Good Hope National Park. Climb (or ride a funicular, optional extra) to the famous Cape Point Lighthouse, to capture the magical vistas of False Bay, and stop at the south westernmost point of Africa - the fabled Cape of Good Hope. Visit Boulders Beach, for a close-up with a colony of African PenguinsWe stop for lunch, suggested Black Marlin Restaurant (own account) located in the naval village of Simonstown, The Black Marlin has earned a reputation for it's stunning seafood, award winning wine list, attentive service with incredible views.After lunch continue over Boyes Drive, taking in views of the fishing harbour at Kalk Bay and the seaside havens of St James and Muizenberg. 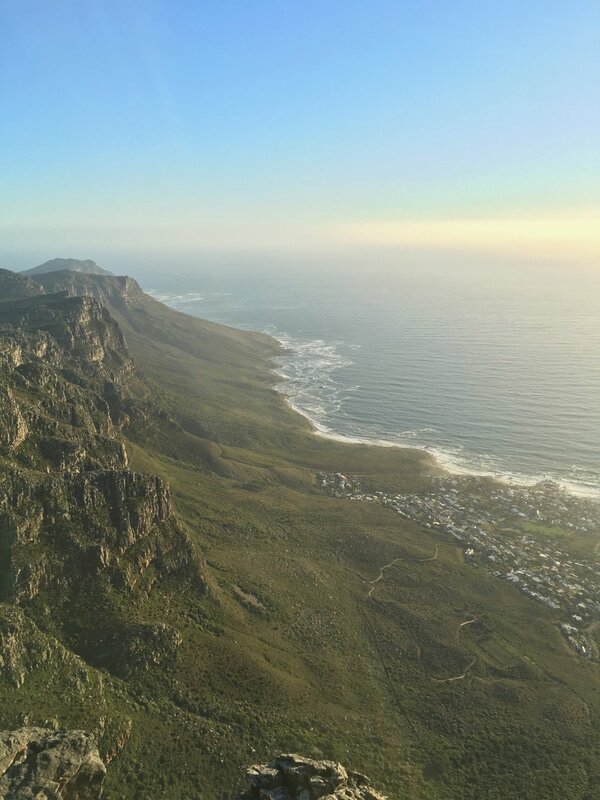 Complete your day with a visit up Table Mountain before returning to the city. After breakfast you will meet your guide who will take you on a private family winelands tour. Additional activities on request include a community township tour, Kirstenbosch Botanical Gardens, a visit to Robben Island where Nelson Mandela was once imprisoned and reservations at some of the top restaurants in the world such as 'Test Kitchen’. The Cape Winelands are some of the most beautiful in the world, with a heritage that lives on in beautifully preserved historic estates, boasting distinctive Cape Dutch-style architecture and a rich 400-year old winemaking tradition that has produced some of the world’s most classic and celebrated wines and some of the newest and most exciting.There are a variety of route options that reveal the historic wine regions of Constantia, Stellenbosch, Paarl and Franschhoek, or emergent wine areas like Walker Bay, the Swartland, and Worcester. You will get to meet winemakers and personalities at some of South Africa’s premier estates; learn first-hand about this vibrant industry, its colourful history and traditions and savour wonderful wines that showcase the unique terroirs of the Cape in a myriad of styles, from classic Old World favourites to fruit-driven “early-drinking” tastes from the New World. For the Kids: Some people jam music, here people jam art. Simply walk in and let your imagination take hold of the paint brushes. We are more than paint & canvas... We pump creativity, imagination, & color to a chillout beat. No drawing or painting skills are needed. Artjammers at the studio are provided with canvases, acrylic paints on tap, and tools to freely express themselves. Let your mind loose and fill the canvas with colors and inspiration. Art jamming is “paintertainment” for all ages, whether it’s with friends, family, co-workers & clients, or young children. Following all that fun enjoy a great lunch before continuing on to the World of Birds is the largest bird park in Africa and one of the few large bird parks in the World. Over 3 000 birds (and small animals) of 400 different species are uniquely presented in more than 100 spacious landscaped walk through aviaries, allowing you the most intimate closeness with nature.A tropical garden setting in the Hout Bay Valley is the environment in which the aviaries are spaced over 4 ha of land, framed by the back of Table Mountain, the Twelve Apostles, Constantiaberg, Chapman’s Peak and Little Lion’s Head. A paradise for nature lovers and photographers, the World of Birds is one of Cape Town’s premier tourist attractions which no visitor should miss. After breakfast you will be transferred to the airport where you will catch your scheduled flight to Johannesburg. Once you have landed you will be met by your Curated Global representative and transferred to the private terminal where you will fly to the Singita Airstrip and then transferred to the lodge. You will be served lunch and then have a few hours to relax and then head out on your afternoon game drive. The Lebombo Lodge comprises 13 suites and one private-use villa that give guests a front row seat to the Kruger National Park with bold, contemporary open plan suites suspended above the N’Wanetsi River. The exclusive concession is a richly diverse habitat, teeming with game, beneath endless African skies. Set apart from the main lodge, the private villa features two 2-bedroom suites, each with a private pool. Built low down on the river bank beneath mature trees, the private villa is fully staffed, has an open-plan kitchen and its own boma. The lodge also features a roof terrace and wine studio, an interactive kitchen, an espresso bar and help-yourself deli, and a 25-metre lap pool. You will be awoken bright and early where tea and coffee with some light snacks will be served before heading out on your morning game drive. Once you return breakfast will be served followed by the rest of the morning at your leisure. Lunch will be served as well as high tea before your late afternoon game drive. On your return you will be served dinner and enjoy some African entertainment. After breakfast and your morning game drive you will be transferred to the airstrip for your flight to Londolozi where upon arrival you will be met and taken to the lodge where you will be served lunch and taken on a sunset game drive. The campfire has burned here for over 86 years making Varty Camp the symbolic heart and soul of Londolozi. All rooms have private swimming pools framed by timber decks that overlook the riverine bush. The living spaces are raised off the ground and shaded under a cathedral of trees. The camp has a pleasingly down-to-earth quality and the emphasis on family heritage means that children always have a place at Varty Camp. Varty Camp is also home to the original Sparta Hunting Camp, the Cardio Vascular Room, Massage Treatment Room and Wine Cellar. Guests from all of Londolozi’s camps are invited to make use of these facilities. After your morning game drive you will enjoy your last breakfast in the bush before being transferred to the air strip for your flight to Johannesburg. Once you have landed you will be met by a Curated Global representative and transferred to the Saxon Hotel where you will spend the evening at leisure. After breakfast you will be collected for a Soweto tour which will show you the true South African heritage of South Africa where Nelson Mandela lived as well as where a lot of history took place for the country to get to where it is today. Once you have finished the tour you will be taken to the airport and check in for your International flight home.